Here is our current list of confirmed conventions. Expect this list to receive periodic updates with more information as we are accepted into more cons/receive table placement info/etc. 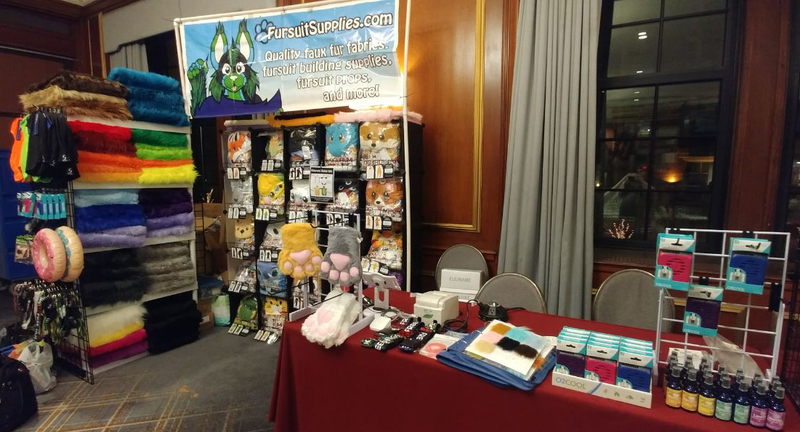 The soonest con you can find us at is Furry Weekend Atlanta at the Atlanta Marriott Marquis (the con takes place in Atlanta, if you couldn't tell!). We'll have our usual array of kigurumi, balaclavas, cooling fans, and many other items! This convention takes place from May 10-12, 2019. Table information hasn't been published yet, but we'll update with info as soon as it is available! We hope to see you at any of these upcoming cons! Thanks for reading!